Our new Pro Series 3 link front, JK Long arm system is here! The arms have been upgraded to our Pro series arms which feature a forged johnny joint at one end and a dual durometer, maintenance free, self-centering GIIRO Joint at the other for maximum flex and adjustability. Like our standard JK long arm system, we still use a bolt in 3 piece cross member and then added a new 1/4 weld on frame bracket. Depending on your axle type we offer an optional front truss, or simply attach your 3 link axle upper mount to your existing truss. This 3 link front upper arm does come with right hand, and left hand johnny joints for simple caster angle adjustment. The rear of the Pro Series kit uses 4 truly long arms, with a forged johnny joint at one end, and a dual durometer, self-centering, maintenance free GIIRO joint bushing at the other end. Some key features with the new JK front long arm kit are our bolt-in 3 piece cross member. The cross member bolts into the OEM location and has pockets for the forged 2.5 inch johnny joints which allows for maximum ground clearance. This cross member can be simply bolted in, and is also setup so it can be welded in for the more abusive drivers. 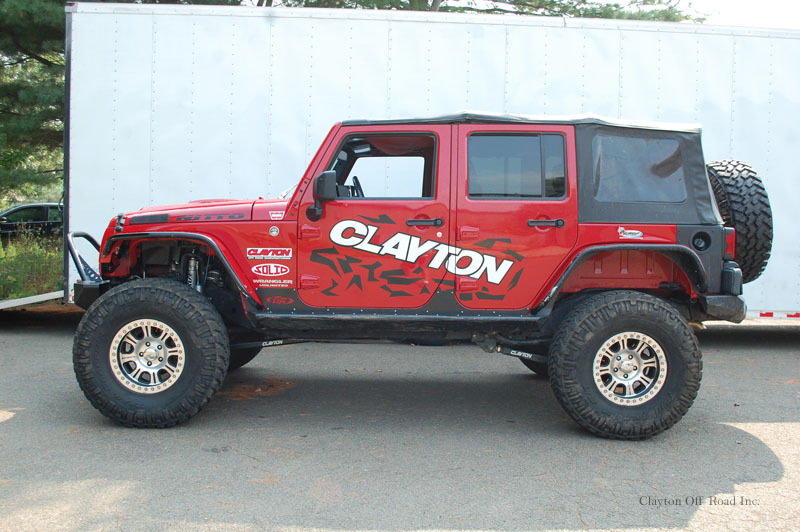 Like all other Clayton Off Road cross members the center section is removable, making any transmission changes simple and can be done without touching any suspension arms. The rear ¼ bolt on bracket was designed to allow for 4 truly long arms. This bracket can be installed without removing the gas tank, and uses 8 bolts to securely clamp to the frame rail. Both the 3 piece cross member and rear frame brackets were designed using the latest 3D Solid Works program, CNC laser cut, and CNC bent for maximum strength and accuracy. 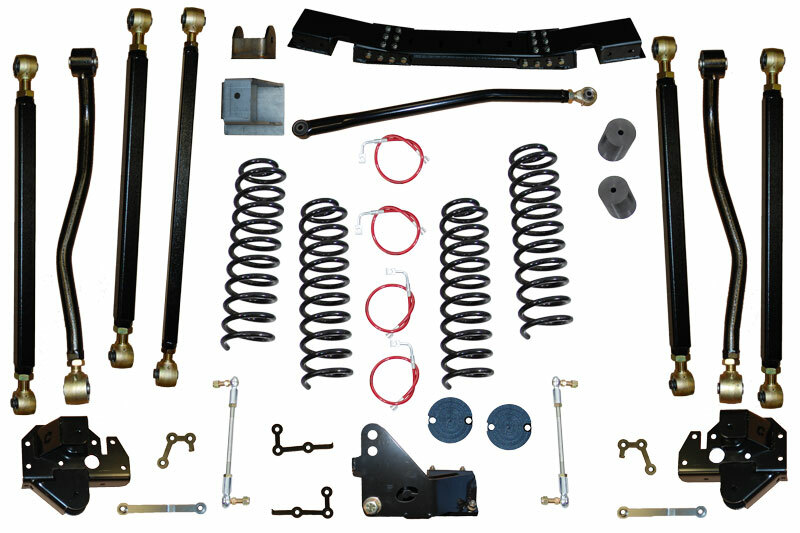 This kit truely gives you all the benifits any customer is looking for both on and offroad. The longer arms correct all the geomerty issues creating a better than factory ride. And the 3 piece cross member, 1/4" rear frame brackets, Pro Series arms which carry our lifetime warranty against bending or breaking, your JK will be ready for any trail you desire.